Home > Patrice Evra biting Fake Arm – Joke on Suarez! 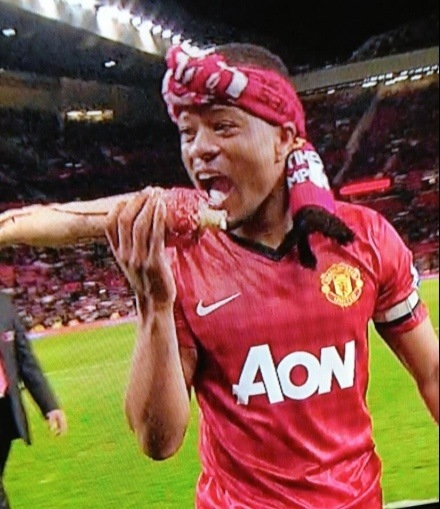 Patrice Evra was given a fake arm to bite after Manchester United were crowned winners of their 20th League Title. Some say it was bad taste ( pardon the pun! ) but it was thrown on the pitch by a fan and Evra saw the funny side of things!